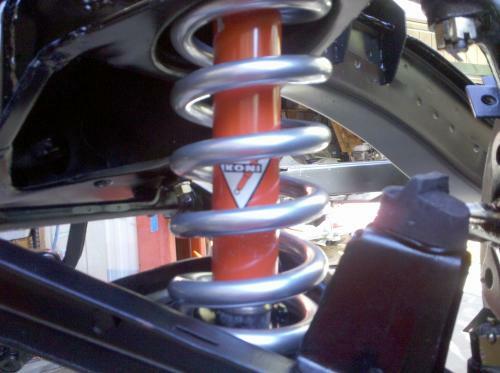 The Datsun Sports custom front coil springs fit all Datsun Roadsters 1500, 1600, and the 2000. The springs were specifically designed and manufactured to exacting tolerances to ensure a safe and precise driving experience. As many roadster owners know, the Datsun Roadster, with stock springs rides quite a bit high in the front, especially pronounced when "60 Series" tires are used. The early competition springs, once available from Nissan were good alternatives, though they didn’t provide quite enough drop to the front. These springs, though over 1.25 inches shorter than stock were not quite short enough. These springs, with their distinctive 5 coil layout and narrow wire diameter, are NLA (no longer available) from Nissan Motors or NISMO (Nissan Comp.). After the supply of early Nissan Comp. springs ran dry, Nissan attempted to reproduce the springs to meet demand. 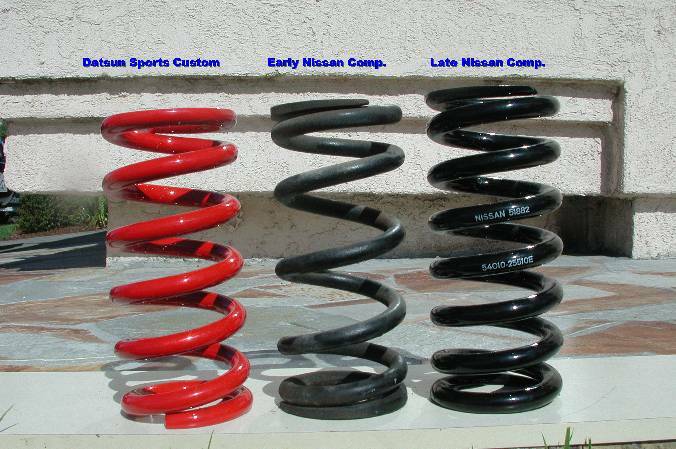 The "Late Comp" spring were manufactured for Nissan, by Eibach. While these springs have a shorter freelength than the stock units they are nearly a quarter inch longer than the early pieces. These spring also test higher than claimed with regard to spring rate. Datsun Sports set out to create a spring that replicated the look of the early comp spring while solving its only shortcoming, freelength. 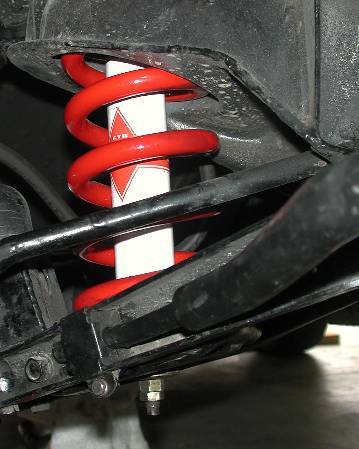 The Datsun Sports custom coil spring blend the look of the early spring with a slightly reduced freelength to give all Datsun roadsters a balanced appearance. The Datsun Sports spring is nearly ? shorter than the early comp spring, while it retains a similar look and feel. 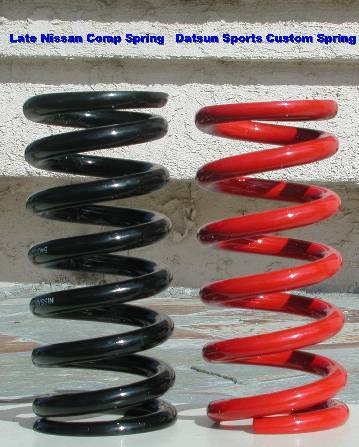 These springs are manufactured from the finest materials using the most advanced methods. They are available in 3 durable powder coated finishes: silver, black and red. Current prices are $180/pair, which includes tax. Please contact Mike Young at 415-828-8778 to place an order or for additional information (including installation tips and bump stop modification — important).